After graduating with an Honours Degree in Nutrition with Dietetics from the University of Surrey, England in 1995, James worked for seven years as a clinical dietitian for the National Health Service in various hospitals and various dietetic specialities. He established the Freelance Nutrition Consultancy Healthy Action in 1999, and is co-founder and developer of Huel, nutritionally complete food. James is a Registered Nutritionist and is a full member of The Nutrition Society in the UK. In 2003 he was nominated for the Re-Energise award of Nutrition Professional in recognition of the work he has done for nutrition on the Internet. 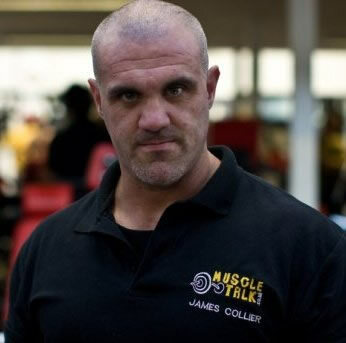 James is also co-owner of the bodybuilding, strength and fitness discussion board www.MuscleTalk.co.uk, which is now one of the largest and most popular sites of its kind in the World. James has been an avid bodybuilder for 25 years and has competed three times. His passion for the sport and the science of nutrition lead him to write the popular ebook Informed Bodybuilding Nutrition, and with Nicole Bremner, he co-authored the Muscle Menus series of recipe ebooks.